This week, our Travel pics series will be J for Jets. For Tuesday, it’s the final flight of a venerable workhorse. The Island of Vanua Levu was a 747 that had been in service with Air Pacific, as it was known, for 10 years before this, its last flight, in 2013. 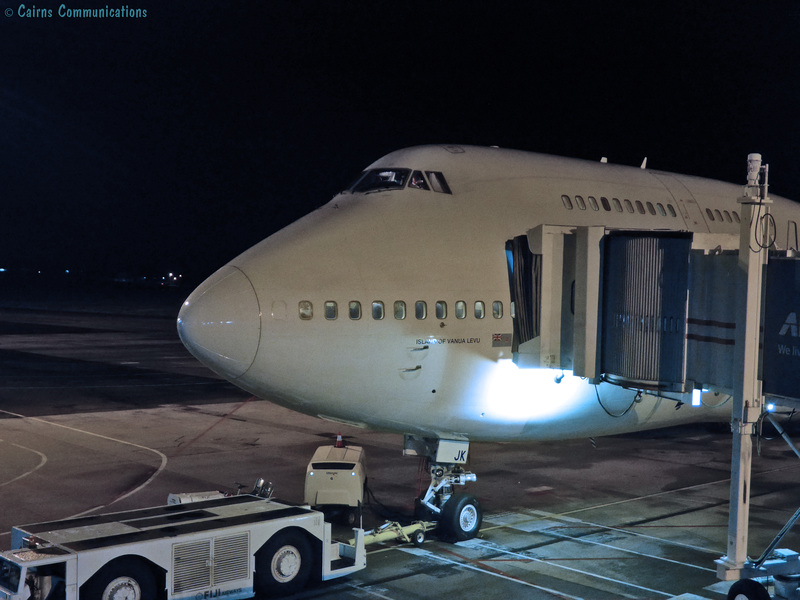 DQ-FJK was already 13 years old when she entered the service of Fiji’s national airlines, having been in the fleets of Singapore Airlines and Ansett before then. It then served as one of Air Pacific’s workhorses until its final flight, on November 14, 2013. We actually flew on that final flight – which was also one of the last flights on aircraft wearing the ‘Air Pacific’ livery. The crew were all a bit sad to say goodbye to the old girl – but at nearly 25 years old, she was starting to look her age. So, with warm champagne and slices of cake for breakfast, we said farewell to the Island of Vanua Levu just as it landed in LA. The plane was retired five days later to the aircraft boneyard at Tupelo Regional Airport.